Looking for spooktacular ideas for boosting traffic and scaring up increased sales this October? Treat your customers to the chance to win amazing prizes and cold, hard cash, courtesy of Odds On Promotions. Check out these fun and affordable Halloween contests and promotions. 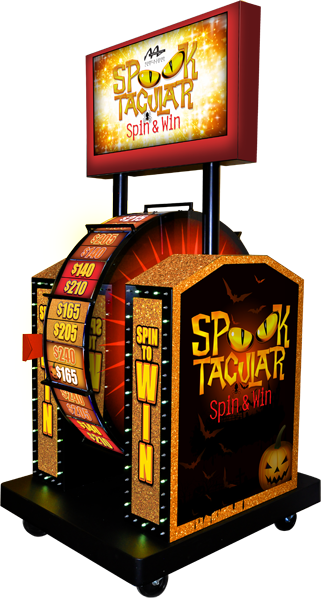 Treat your players to amazing cash and prizes during the month of October with a Spooktacular Spin & Win promotion! Qualified contestants spin the Halloween-themed wheel 3 times. 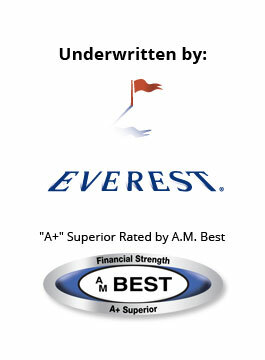 If they accumulate $1,000, they win $1,000,000 (or any other amount insured by Odds On's prize insurance). Or, they win what they accumulate. Fast-paced and action-packed, Halloween Zoom Ball will get everyone lining up for a chance to win up to $1,000,000, paid for by Odds On! To play, contestants simply press a button activating the ball blower and start rooting for a winning combination of red, orange or purple balls (based on your preference) to fill the Zoom Zone. If someone draws five or six balls, they walk away a winner, and Odds On Promotions will pick up the tab! Want to kill the competition? Check out Odds On’s Spooktacular Cash Machine where your customers get the chance to “scratch” and win cash and prizes up to a $100,000! 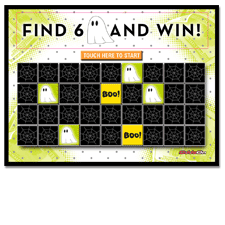 Customers just select 6 spots on the Spooktacular Cash Machines’ touchscreen grid. If they can find the 6 hidden “spooks”, they’ll win the grand prize, and Odds On will write the check. Award smaller prizes for finding fewer ghosts and goblins. 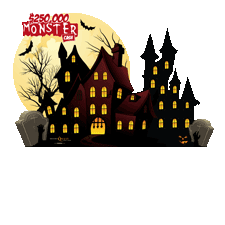 Make this October bigger and better when you give your players the chance to win up to a $1,000,000 with Odds On's Monster Cash giveaway. Choose three prizes - one grand prize paid for by Odds On ($1,000,000), and two self-insured prizes (iPads, gift cards, cash, etc.). Your players then select and open Lucky Envelopes until they collect five matching prize symbols, winning the indicated prize. Pick the grand prize, and Odds On will write the check! Get ready to bewitch your customers into visiting your location more often this month by giving them the chance to win luxurious vacations to destinations near and far. Odds On will ship you 40 Lucky Envelopes, each containing one of three prize symbols – one representing your grand prize (the trip of a lifetime) and two smaller self-insured “treats”. 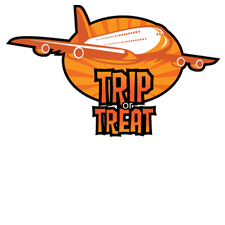 Contestants approach the Trip or Treat game board, and pick until they collect five matching symbols, winning the indicated prize. If they collect five “trips” before getting five “treats”, they’ll score a free vacation and Odds On will pay the fare. On Halloween give your customers the chance to crack the code on a crypt or coffin full of cash, courtesy of Odds On Promotions! Contestants approach the Cash Crypt (aka the Prize Vault), and enter their favorite secret code. If someone has the winning combination of numbers, they score the prize, and Odds On covers the cost. 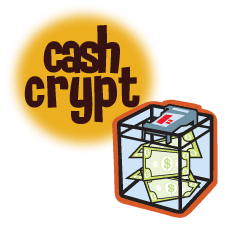 The Cash Crypt can also be programmed to award a variety of consolation prizes. And be sure to ask about our hand held number verification machine, which can be installed on your very own "crypt" or "treasure tomb".